How often do you find yourself painting your nails and then proceed to tip over your nail polish all over your desk. 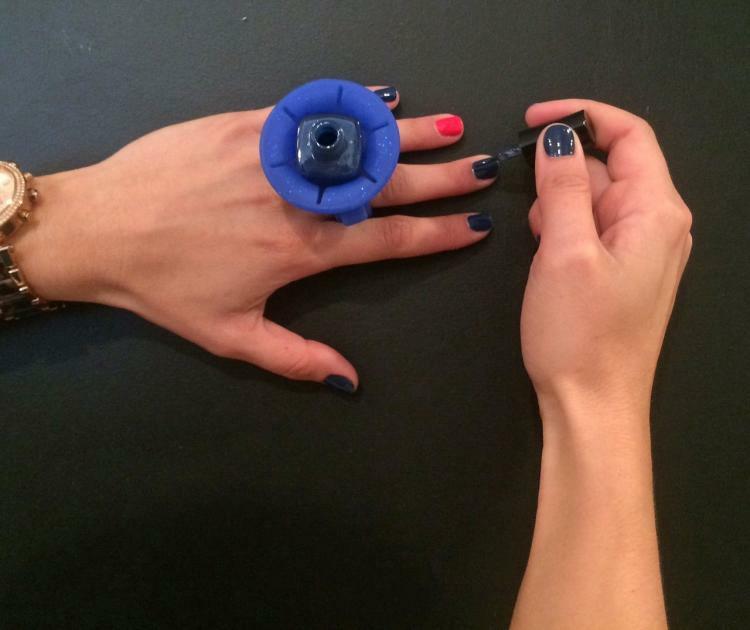 Me personally, never, since I've never painted my nails, but I'm assuming this happens to girls every so often. 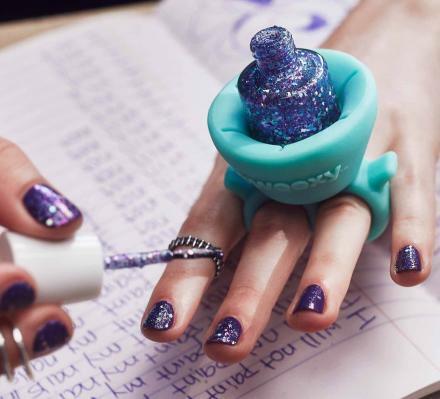 Tweexy is a nail polish holder that you can wear like a ring on your hand, so that it will not only never tip over and make a mess, but will also be right where you need it the most, next to your fingertips. 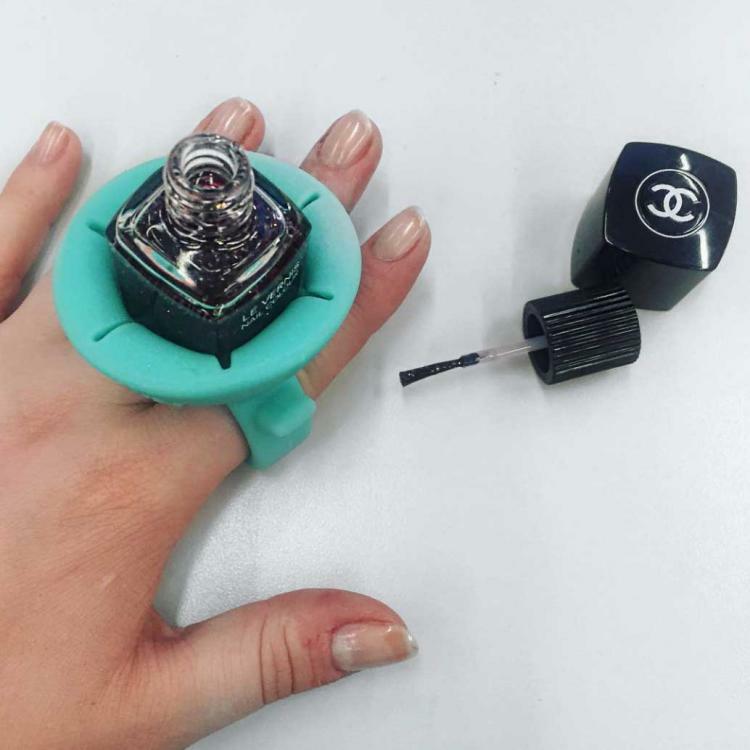 Plus the device allows you to open and close your nail polish bottle with just one hand! 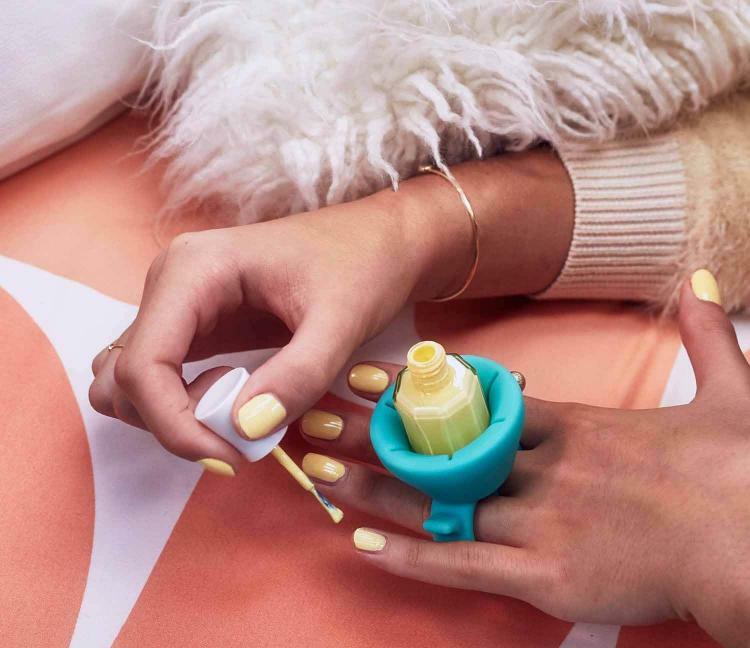 Not only great for preventing nail polish spills, the device also works perfectly for when you need a touch up while out on the go, like in a bathroom, at a bus stop, in the car, or just sitting on a couch or chair with no table nearby. 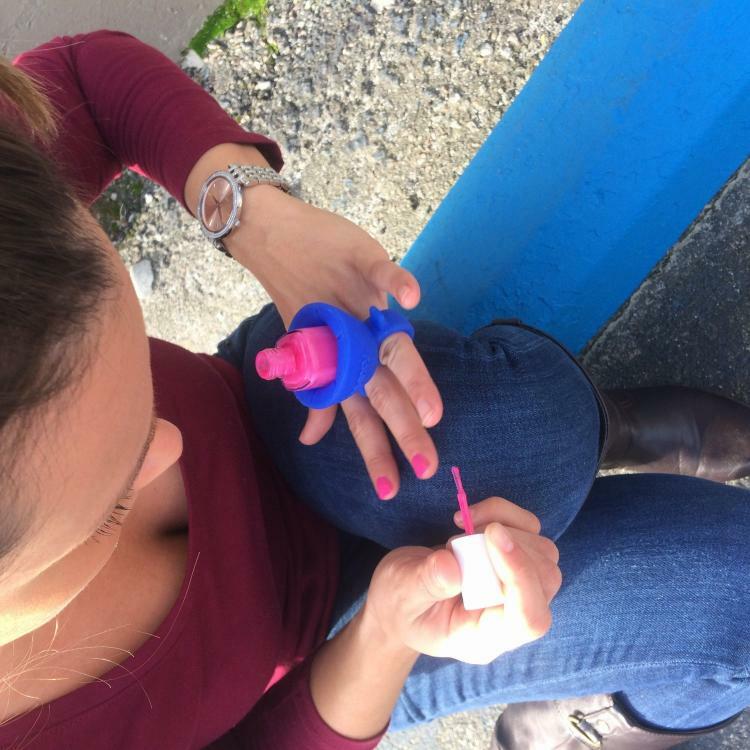 The nail polish holder ring is made from soft, super flexible, 100% silicone, is able to fit any size and shape of nail polish, can fit on any sized fingers, can be tipped upside down without the bottle slipping out, and even solves the problems of drips and spills by having a silicone surface that it would drop on to. You can easily clean Tweexy by simply using soap and water. The Tweexy nail polish holder ring fits perfectly in a purse or bag for using on the go, can easily be removed after you're done without ruining your new manicure by simply pressing in on the tabs on the side of the device and pulling up, comes in a few different colors to choose from, and measures 2.5 inches tall x 2.5 inches in diameter. 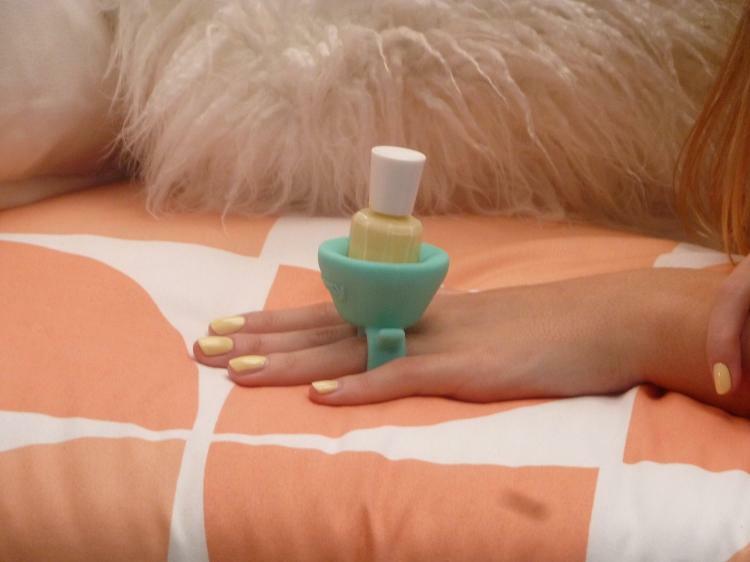 Check out the Tweexy nail polish holder ring in action via the video below. If a bottle is too small and slips out of the Tweexy, simply pull one of the flaps up over the bottle and it will keep it from falling out.